The Soviet Union's perestroika - rebuilding - era 30 years ago that ushered in groundbreaking reforms of the Communist system is now seen as specific period in Russian history. Although it lasted less than a decade, perestroika had its symbols that have entirely disappeared along with this unique era. One of the most controversial actions taken by authorities during the years of perestroika was the prohibition campaign. It began two months after Gorbachev came to power in 1985 and lasted two years. Alcoholism was rife in the late USSR but the measures taken by the authorities seemed to many to be too drastic – a sharp increase in prices, the closing down of liquor shops, limiting hours when alcohol was sold, calling on people to reject drinks at festivities - such as weddings - and even rooting out grapevines in several regions of the USSR. Combined with economic difficulties such as a shortage of products in shops, it made people bitter. It also harmed government tax revenues. The policy also boosted bootlegging. 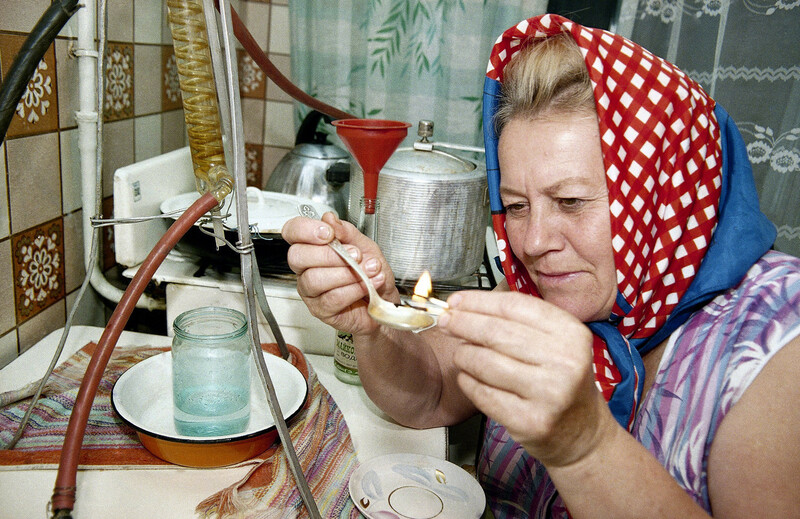 As Gorbachev admitted later himself, the campaign increased the production of moonshine alcohol. Homemade liquor was produced in full swing with the help of machines like this. At the same time, the campaign considerably increased life expectancy and reduced mortality rates in the Soviet Union. Facts) whose circulation figures made it into the Guinness Book of Records, when it reached 33.5 million copies in 1990 – to this day the largest newspaper circulation in history. Such was the public demand for uncensored content that the paper was read by 100 million people. Something similar happened at the time to Soviet literary monthly magazines. Until perestroika they were popular but never had circulations in the millions. 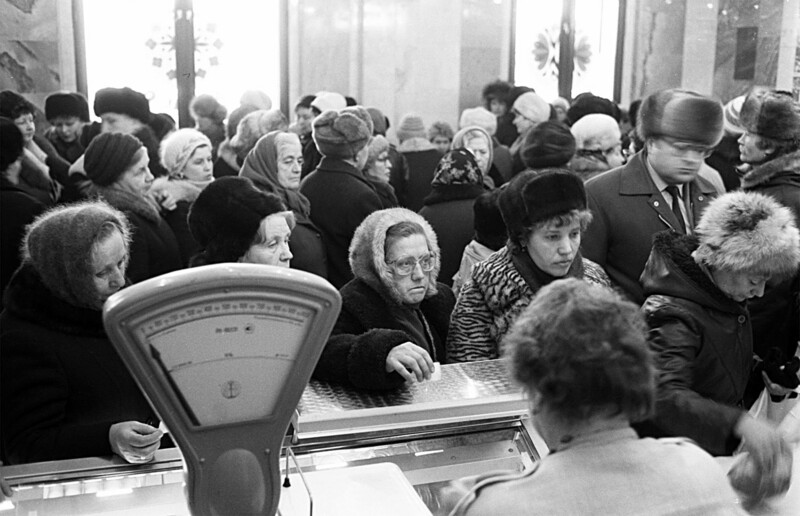 Glasnost forced people to rush to book kiosks for the latest issue of such magazines that reprinted novels earlier forbidden for the publication in the USSR. The most famous literary magazine was Novyi Mir (New World). Its circulation in 1991 was a record high of 2.7 million copies. Today it sells only 7,200 copies. The Soviet computer industry was among the world leaders after WWII, but in 1970s began to lose it position during the so-called stagnation period in Soviet economic history. And yet after the appearance of the first mass-produced home PC in the West in the late 1970s, the USSR launched the development of its own home computers. This process was boosted during perestroika as many enterprises were forced to adopt conversion – they dropped the production of defense industry goods and switched to computer production (the article is in Russian). 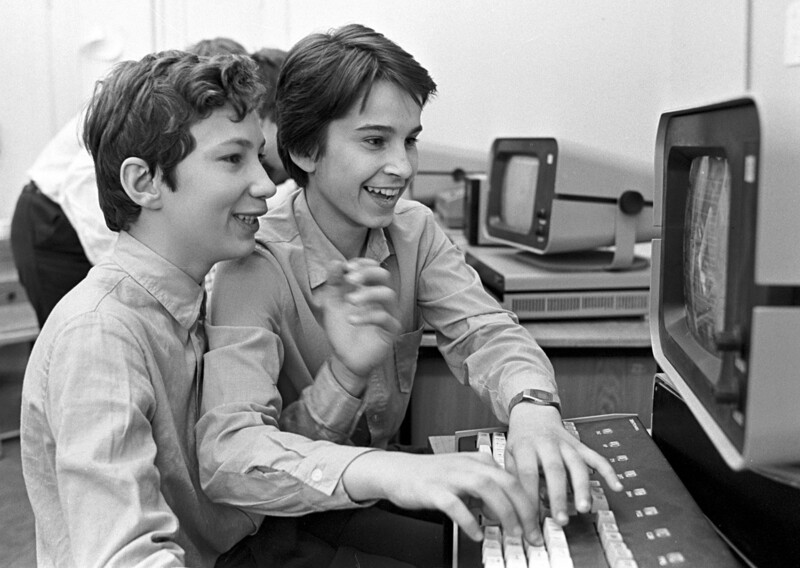 Schools also started to give lessons in computer programming, contributing to the mushrooming of the Soviet home PC market. The first Soviet IBM compatible computer Assistant-128 was produced along with the Elektronika BK (one of the most widespread Soviet home PCs at the time) and the Korvet that was used in school classes. There were also Vektor, Vesta, Sura and multiple clones of Western devices. Such computers were produced until the early 1990s, when the economic collapse that followed the fall of the Soviet Union suddenly swept all these brands into the dustbin of history. 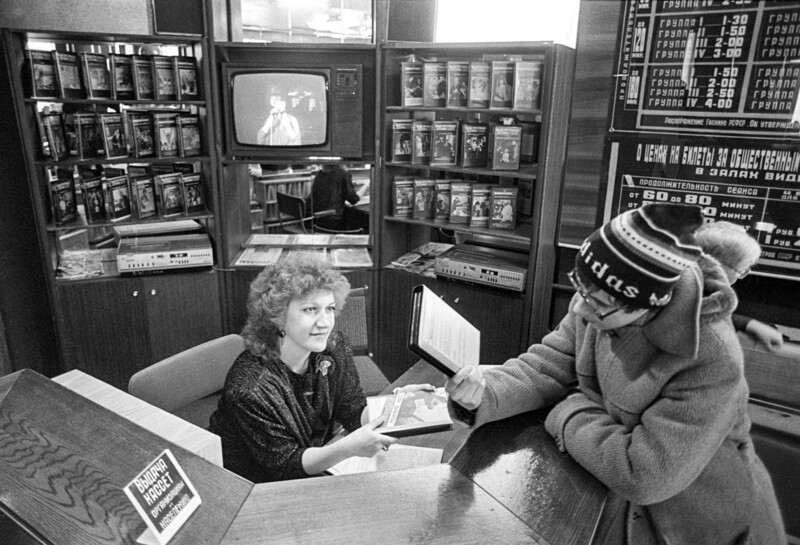 Perestroika was a time when videocassettes and VCRs stormed the USSR. Few could afford to buy a VCR and they were also hard to obtain, so in the late 1980s video saloons mushroomed. These were small public places that usually screened films on a simple VCR. It did not cost much and was extremely popular among youth. There one could see Hollywood movies that had earlier been the stuff of legend. In this way Rambo and Rocky became an immanent part of an ordinary Soviet teenager’s life at that time. Perestroika changed not only the way people drank, read and watched but also the way they looked. Almost everybody got into acid washed jeans. Jeans were not as widespread in the USSR as in the West, but demand was high. When the borders opened during perestroika a new breed of "shuttle trader" filled the niche. Polish jeans Mawin became extremely widespread. Acid washed jeans were also produced within the country by another new business class – people working in cooperatives, a new economic format endorsed by Gorbachev that implied more economic freedom. Soviet citizens who wanted to try their entrepreneurial spirit produced acid washed denims at home with the help of bleach and then sold them. As a result, huge numbers of Soviet citizens began wearing such jeans. 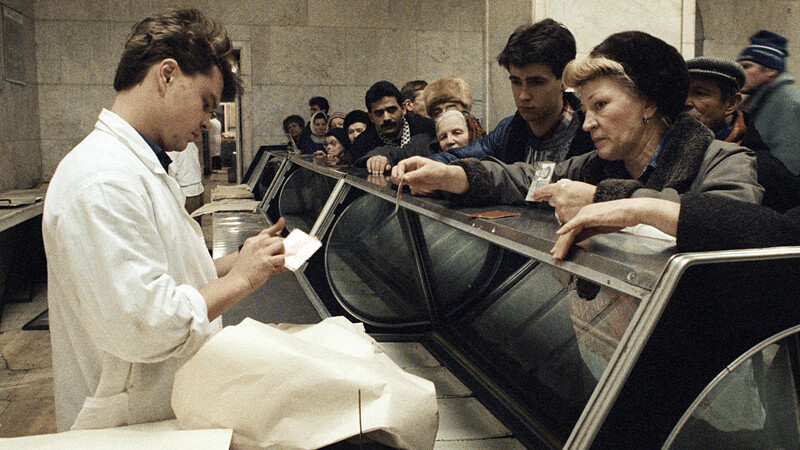 Coupons were probably the most memorable - and ubiquitous - item of the perestroika era. Gorbachev’s economic reforms were a failure and the country’s economy was descending into a deep crisis. One of the most visible signs of this was a rapidly growing deficit of products and goods in the late 1980s. The peak of this system was in 1988-1992. Then many products and good were distributed in return for coupons: meat, butter, sugar, soap, detergents etc. Different regions had their own rates. Usually, a ration for a month included 1 kilogram of sugar and a kilogram of flour, 15 packs of cigarettes and two kilos of meat per person. It all disappeared in 1992 when prices were liberalized and the deficit faded away. Read here about the last Soviet computer game that peddled democracy. QUIZ: What do you know about perestroika?